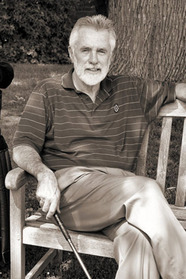 John Coyne is an American author of fiction and non-fiction. His early horror novels were bestsellers, lauded by fellow masters of the period, including Stephen King. Coyne’s first novels, The Piercing and the The Legacy, made him an instant brand-name author. The Legacy was a novel-length version of a story by Jimmy Sangster, which served as the basis for the 1979 movie of the same name. The book became a bestseller although reception for the movie was lukewarm. His 1981 novel Hobgoblin played on Dungeons & Dragons controversies, fueled by what’s now referred to as the “Satanic Panic” of the 1980s. Regarded as one of the giants of the early horror boom, Coyne enjoyed success throughout the decade. His last horror novel, Child of Shadows, was published in 1990. He has since written many non-fiction books on several subjects, not the least of which is golf. Three of his last four novels, published in recent years, are fictionalized accounts of golf caddies who knew famous pros. A former Peace Corps volunteer, he now lives in Pelham Manor, New York, where he continues to write and serve as editor of PeaceCorpsWriters.org. Many of his horror novels have been reissued. To browse the list of John Coyne titles currently available in print and eBook editions, click here.